The Astro Compact Portioning Scales are designed with durable stainless steel and can withstand a variety of kitchen settings from small restaurants, cafes or food trucks to national food chains. The scale has color coded keys that help users quickly recognize frequently used buttons and also has a bright backlit LCD that allows the measurements on the scale to be read in any lighting condition. The Astro Compact is powered by an AC adapter but can also be powered by batteries (not included) for 40 hours per charge. The scale features a low battery indicator that flashes when the scale needs to be charged. To protect the internal components of the scale, an overload feature causes the readings to turn red if too much weight is placed on the scale. 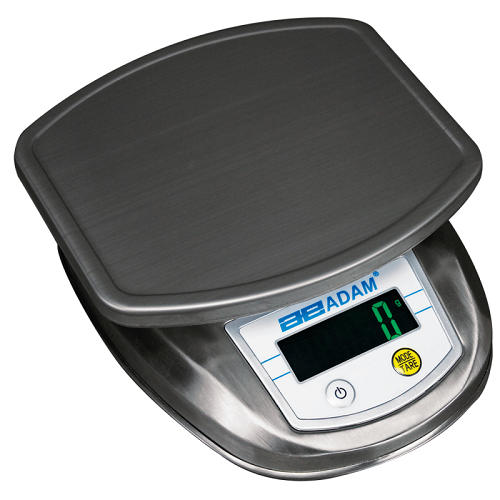 This durable, versatile scale will be convenient for any business, large or small.